American soprano Christine Buras is a versatile and experienced performer of a wide range of repertoire including early music, opera, art song, and new music. Christine’s operatic roles include Hélène (Chabrier’s Une Éducation Manquée) for Pop-Up Opera at the Wilderness Festival, Lucy (Menotti’s The Telephone) for Salon Opera, Suor Dolcina and La Prima Sorella Cercatrice (Puccini’s Suor Angelica) for Royal Academy Opera, Theodora (Handel’s Theodora) for Benslow Opera, and Belinda (Purcell’s Dido and Aeneas) for Indiana University. 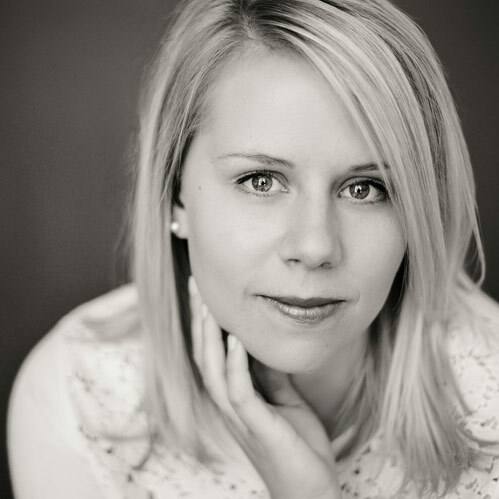 Christine also enjoys performing oratorio, and her repertoire includes major works by J.S. Bach, Haydn, Handel, Rossini, Mendelssohn, Schubert, Orff, and Mozart. Having studied early music from the perspective of both an academic and performer, Christine is committed to musically engaging and historically informed performances of pre-Romantic repertoire. While studying at the Royal Academy of Music, she was a regular performer on the Royal Academy of Music/Kohn Foundation Bach Cantata Series as both a soloist and chorus member, culminating in a joint RAM/Juilliard Bach cantatas tour to New York, Boston, and Leipzig, conducted by Masaaki Suzuki. As an ensemble singer, she has performed with Siglo de Oro, Cathedra, the Orchestra of the Age of Enlightenment, and the Monteverdi Choir. She is delighted to be singing with Apollo Baroque Consort on programmes of 17th and 18th century chamber music. Christine is also a passionate advocate of contemporary music. She is a founding member of Ensemble x.y, a chamber ensemble dedicated to commissioning and performing new music. In July 2017, Christine performed with Ensemble x.y at the inaugural HASS-fest of contemporary art and music in Yerevan, Armenia. She looks forward to the group’s debuts at St. John Smith Square and St. Martin in the Fields in 2017, and the 2016-17 ‘x.y song’ series of contemporary art song. Christine received her early musical education as a chorister at the National Cathedral in Washington, DC, and later obtained her BA (with honours) in Music History and Theory from the University of Chicago and her Masters of Music at Indiana University’s Jacobs School of Music Historical Performance Institute. Christine recently graduated from the postgraduate Vocal Studies course at the Royal Academy of Music, where she was generously supported by the Josephine Baker Trust, the Adah Rogalsky Scholarship, and the William Gibbs Educational and Religious Trust. While studying at RAM, she won third prize in the 2015 Joan Chissell Schumann Lieder Competition and was commended in the Major Van Someren-Godfrey Prize for English Song and the Marjorie Thomas Art of Song prize. Upon graduation, she was awarded the DipRAM in recognition for excellence in her final recital. She is continuing her vocal studies with Julie Kennard and James Baillieu.